June has arrived. It's wedding season. The bride and groom have made choices for their nuptials and you have been invited to the party. Whether formal or casual, destination or local, here is a glimpse of a few weddings that I had a part in styling. Tracy Podell's wedding to Scott Birnbaum was taking place on Valentine's Day in Austin, Texas. Tracy and Scott are a super cool, super stylish couple who live in Los Angeles. Theirs was a formal wedding and Scott opted for a tuxedo. This Paul Smith tuxedo is both modern and classic. José Lemus, the impeccably styled team member at Paul Smith Los Angeles (the iconic pink building on Melrose) navigated the details with us. Scott looked fantastic. Scott Birnbaum at Paul Smith, LA. Tip for the bride: bring a pair of flats to the wedding dinner and reception. You may want to dance or give your feet a break as the event wears on. Tip for the groom: carry a handkerchief in an inside pocket. Someone may shed and tear and you will be prepared. Read more about their wedding in The New York Time's article Standing Tall. Stephanie Jackson and Zach Lewis chose to have their wedding in Las Vegas. They took ultra cool wedding announcement photos that IMPACT styled with a black and white theme and a Rat Pack vibe. Going with a destination or color theme for a wedding is frequent request of the guest. Styling tips: Google images of the destination location and it's weather in preparation for the event. Also take a close look at the wedding invitation and photos posted of the bride and groom to make your style compatible. After all, it's their big day! I'll add us to the mix. Our ceremony was on a beach in Hanalei, Kauai...and rather last minute. I styled the it from goods found in a beach shack store down an unnamed dirt road. My dress, Christian's t-shirt, the matching dresses for the flower girl and her mom were all from this tiny, rustic shop. The flowers for the ladies were found in the yard and road where we were staying. 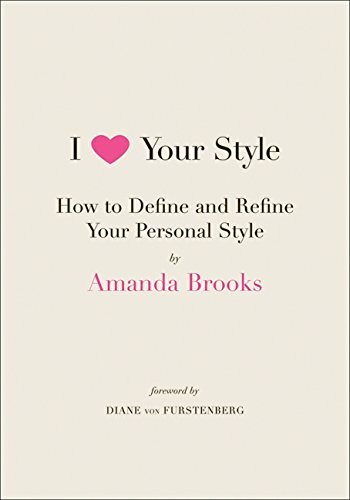 When styling event I referred to the only book that had traveled with me - I Love Your Style by Amanda Brooks. Placing flowers in my hair was based on one of the inspirational images. Styling tip: being open to following one's nose and being open to receiving inspiration as opposed to an image of what it "should be" can garner sweet results. I have always maintained that style has little to do with money, but a lot to do with point of view. The brides and grooms shown here all have great style! Whether you are a bride, groom or guest, please share your wedding looks on Impact Styling's Facebook page. We would love to see your style.